The mandala craze isn’t limited to coloring pages and computer art. You can can create your own colorful mandalas in crochet cotton or yarn and then join them to make a blanket or a throw. Basic Round Mandala: If you are new to crocheting, this pattern may be ideal. It is worked in the round with all double crochet. This one features 12 rows of contrasting colors. You can easily change the look of this mandala with the colors you choose. Don’t be intimidated with the scalloped edging as that is worked in double crochet, too. Granny Mandala: This simple design is similar to traditional granny squares but is worked with double crochet in the round. The colors you choose make this piece truly unique. This beautiful pattern is worked with the colors of the rainbow and bordered with gray, but you can alter the color scheme to fit your needs. Spoke Mandala: This pattern looks more complicated, but if you have mastered double crochet it won’t be a problem. The basic design is worked in the round with double crochet and the spokes are added when completing the scalloped edging. The step-by-step instructions and quality photos makes this project easy enough for beginners. This pattern is worked in shades of blue and white but can be adapted to any color scheme. Magic Spike Mandala: This mandala is worked with four colors. It is worked in the round with single, double and half double crochet stitches with easy-to-make spikes to set it off. While it looks more intricate with the contrasting spikes this mandala is easy enough for beginners, but don’t let the simplicity deter you if you are a more advanced crocheter. 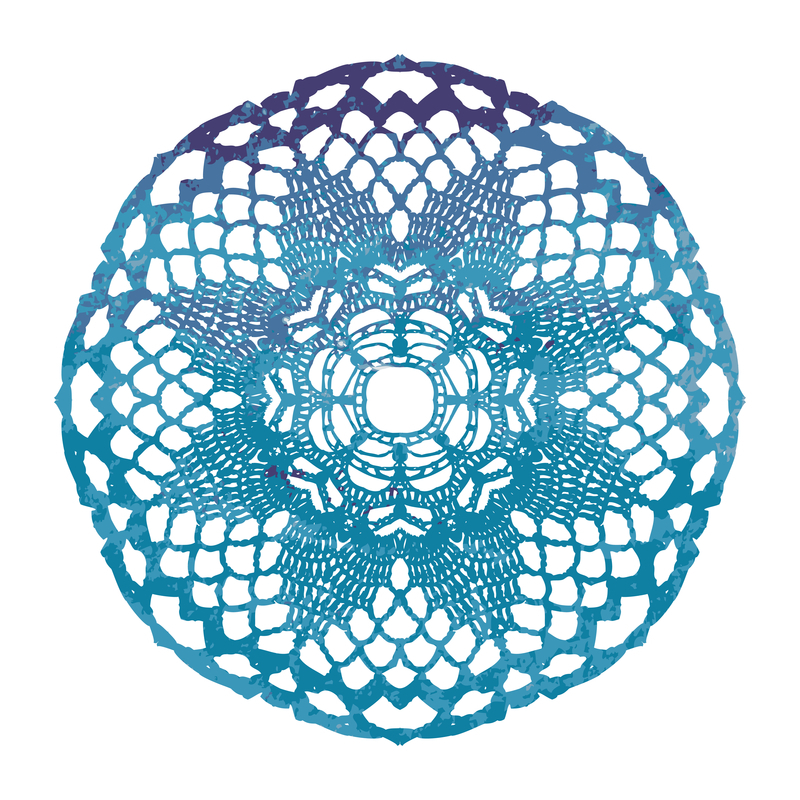 This mandala is ideal for coasters or joining for larger projects. Flower Potholder Mandala: These delightful mandalas look like bright flowers when they are finished. Theyare worked in the round with double crochet and then joined with single crochet to make the outlines of the petals. Each mandala requires two identical flowers and contrasting yarn to join them. These look stunning with either black or white outlines, but can be done in any color. The joining technique may be challenging for beginners, but the project only requires single and double crochet stitches. The pattern must be downloaded as a PDF. Tequila Sunrise Mandala: This mandala takes advantage of several stitches to create detail and contrast. It is suitable for intermediate and advanced crocheters. It is worked in the round with 7 or more colors, depending on your preferences. The mandala pictured was created by using the same color for two adjacent rows. The step-by-step instructions include several photos to guide you. North Sea Mandala: This pattern is delightful worked in blue and white. It is worked in the round with single, double and treble crochet and requires special attention to counting stitches. It I suitable for intermediate crocheters. The instructions include photos to guide your work. 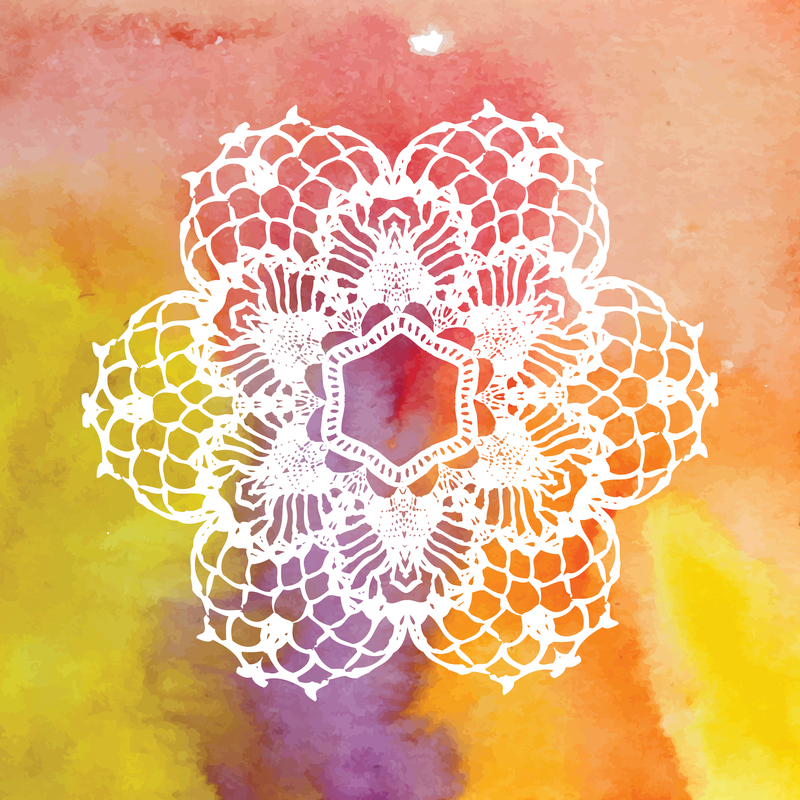 Dahlia Mandala: This mandala requires at least four colors. It is worked in the round with single, double and triple crochet stitches and makes use of clusters made up of these stitches. Although it looks complicated, anyone comfortable with these basic stitches can make this striking dahlia mandala. Instructions include photos. Irish Crochet Mandala: This mandala is worked in crochet cotton or crochet thread and requires an understanding of an Irish Crochet Motif. It is best suited for advanced crocheters. The intricate designs in this mandala make it suitable for framing or displaying as an overlay. Instructions must be downloaded and include photos to guide your work. Mini Rings of Change: This striking pattern earns its name and its beauty from the wide variety of stitches in the pattern. It can be done in a single color or in multiple colors. This pattern is not for beginners. Instructions must be downloaded and includes a photo of the competed mini ring of change and the full-size version, but does not contain photos to guide you with your stitches. Bobbly Mandala Flower: This mandala adds texture with the bobbles, also called the popcorn stitch. It is worked in the round with single and double crochet. The bobbles are easy-to-make with little practice, making this pattern suitable for beginner and intermediate crocheters. The instructions must be downloaded and are straight forward, but do not contain photos to guide your work. It can be worked in a variety of colors. Carnivale Cushion Mandala:This bright mandala is designed for making a pillow or cushion and makes a great accessory for a child’s room. Worked in the round, it uses basic stitches, but does include some special clusters that can seem intimidating at first, but can be managed by beginning and intermediate crocheters. This tutorial is in multiple parts with part one showing several striking versions of the finished project. Choose patterns and colors that appeal to you and have fun experimenting with new color schemes.